In the same way that an artist carves in stone or wood to create a unique form, the same way of thinking has been applied to the Carver tables, where the cross-rail and legs have been subtly sculpted, like pieces hewn from a solid block. 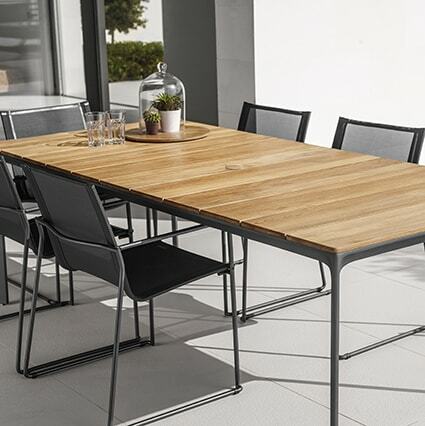 The CARVER dining table is available with a buffed teak or a ceramic top, in white or meteor colours. Click here for 100×170 buffed teak top dining table specifications. Click here for 100x170cm ceramic top dining table product specifications. Click here for 100x220cm buffed teak top dining table product specifications. Click here for 100x220cm ceramic top dining table product specifications. Click here for 100x280cm buffed teak top dining table product specifications. Click here for 100x280cm ceramic top dining table product specifications.